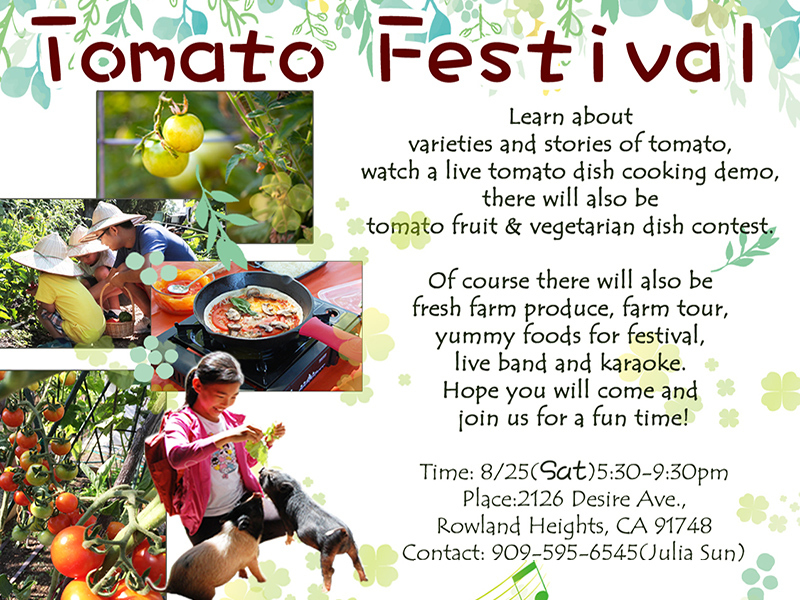 Learn about varieties and stories of tomato, watch a live tomato dish cooking demo, there will also be tomato fruit & vegetarian dish contest. On the day of event, of course, there will also be fresh farm produce, farm tour, yummy foods for festival, live band and karaoke. Hope you will come and join us for a fun time on 8/25 Saturday at 5:30pm.